What? Stocking stuffers in July? Sure! Why wait when you can spread your shopping expenses over six months? And with these cool color changing pencils, you can also take a couple of them out of the pack now and make a kid or two happy right now, during the summer vacation. I’m going to start suggesting some nifty stocking stuffers ideas for you on this blog, from now until the holidays. My goal is to find excellent ones for under $1 a piece. If we start buying now we can do our shopping gradually in a stress-free way. Spending a few bucks every month from now on also means you won’t be overwhelmed by gift shopping costs come December. These are what’s known as “retro mood pencils”. Remember those old “mood rings” where the stone would change its color according to your mood? The same heat-sensitive mechanism is in place here. As you hold the pencil, the warmth of your hand affects the pencil’s outer coat of heat-sensitive paint and causes it to change color. Seems childish? It sure is! A perfect choice if you’re looking for gifts for kids (this is what this blog is about, remember?) 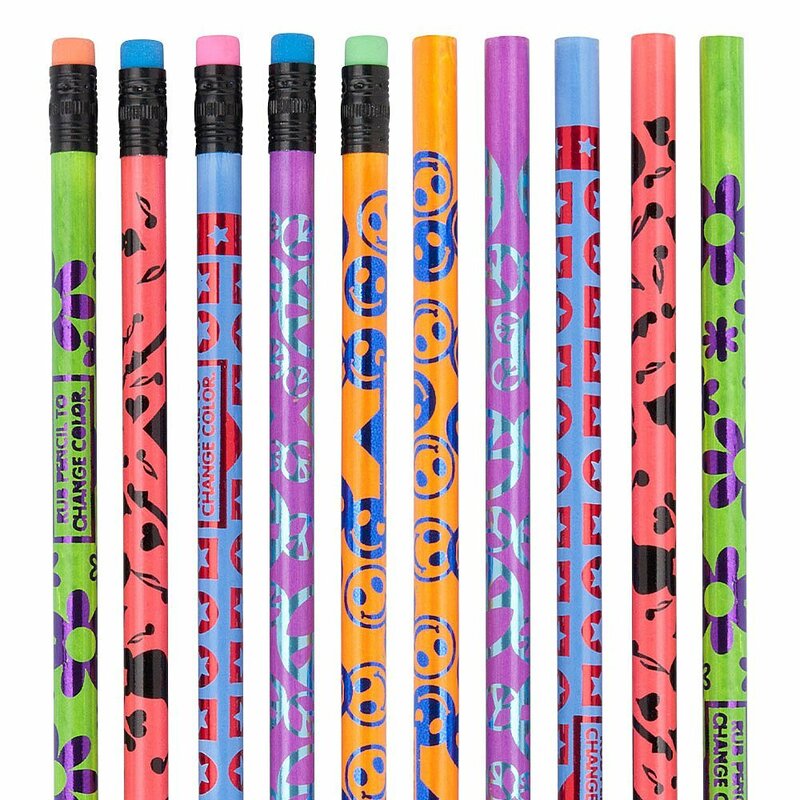 Kids love these pencils! The reviews on Amazon will tell you as much. I bet some parents would appreciate the trip down memory lane too, so I would throw an extra one in each stocking. They are incredibly cheap right now on Amazon. A full set of 36 pencils will cost you only $12.99 and if you don’t have Amazon Prime, expect to add another $4.99 for shipping costs. Which means each pencil ends up costing you only 50 cents. Well under a dollar, making it an excellent low-cost gift and a perfect stocking stuffer! Expect more ideas for gifts under $1 in the coming months. I’ll probably run a summary post about all of them at some point. I can’t guarantee that the price will stay this low though. If you’re anything like me, you should order these now to lock down this great price.